Cornell students who want to take the Naturalist Outreach Practicum course [Entom 3350, 4 cr] should contact Dr. Rayor by email (LSR1) as soon as possible to get an enrollment code for pre-enrollment or prior to the course in the Fall. I am in Montreal from 9 – 17 April, so email me for the code and I will be as fast as possible to send it to you. But I want to know more about you and why you want to take the class, as not everyone is a good match for the course. Send me a short introduction to why you want to take the class (besides oral comm credit!!). You do NOT need to have prior experience doing outreach or teaching to take the class, but let me know if you have done anything that fits into this general area. Tell me what your major is, as I try to get a diverse group of students from throughout biology and education. This class is listed through Entomology (because it is my home department), but I’m looking for diversity in organismal background that can be shared with kids not bug knowledge. Note that this class counts toward oral comm credit, toward the Education minor, and as a key course in the upcoming Science Communication and Public Engagement minor. Class size is limited to 24 students, preferably upper classman. I’ve got expectations in Outreach course posted. What this program does: Naturalist Outreach college students give free enthusiastic, hands-on biology presentations about nature and ecology to K-12 classes and community groups in Central NY. Who are the Presenters? The presenters are accessible scientist role-models who excite students about biology, nature, — and college. By presenting lively, enthusiastic, NGSS based, and age-appropriate, science based presentations, we work to open the world of backyard biology to young people, enrich local 2nd – H.S. 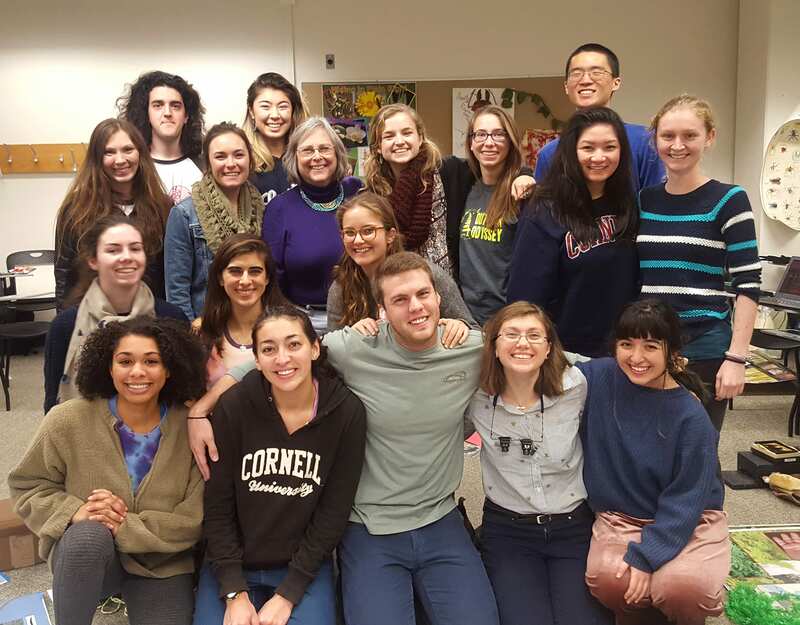 science instruction, and simultaneously train Cornell students to communicate effectively about science. Why do we do science outreach? The goals of the Naturalist Outreach Program are to improve science literacy, to help attract students into science, and enhance appreciation for the environment. 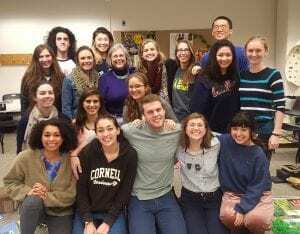 Additionally, our mission is to help train college students improve their ability to communicate science and teach effectively.. My goal is to help inspire a generation of Cornell students to become civically engaged in scientific outreach. Request presentations, find out more about the student presenters, and provide online reviews of their performances. Access curricular materials and resources related to the presentations. We have organized the resources by key concepts, type of organisms, and type of resource (short STEM videos, Presentation guides, Educational Games or worksheets). Next Generation Science Standards and Common Core goals are now being linked to each resource or unit of resources. Find out about the latest Naturalist Outreach Nature videos starring Naturalist Outreach students talking about major ecological and biodiversity issues. The videos are designed to be played in class to help your students!